Dr. Robert Girgis and our orthodontic team know that a beautiful, functional smile is a great asset at any age. Our practice offers orthodontic care tailored to each patient’s unique needs! The mission of the Woodridge Park District is to enhance oneâ&#x20AC;&#x2122;s quality of life by providing superior parks, facilities, and recreational services in a fiscally responsible and environmentally sustainable manner, in partnership with the community. Sign up for e-news on our website to receive the latest park district event information! Rainout Line The Woodridge Park District Info/Rainout Line keeps you up to date when adverse weather affects programs, events and facilities. Visit the WPD website at www.woodridgeparks.org to subscribe to text or email alerts, download the Rainout Line app on your smartphone or call the Info Rainout Line at (630) 206-1722. JOIN US AT 8:45 PM AS WE WATCH SOME OF THE NEWEST FAMILY MOVIE RELEASES! Carnival rides, live music and a variety of food…summer doesn’t get any better than that! You’ll find that and much more at the 36th Annual Woodridge Jubilee, which is held at the corner of Woodridge and Center Drives and organized by the Woodridge Park District and Village of Woodridge. Join us Wednesday, June 12 through Sunday, June 16 for fun for the whole family. 2019 Jubilee sponsors Donâ&#x20AC;&#x2122;t miss the chance to support Woodridgeâ&#x20AC;&#x2122;s largest special event that brings over 10,000 people from Woodridge and the surrounding suburbs together. A variety of sponsorship packages are available and are as low as $250. Call or email Megan Pettit, Public Relations & Marketing Manager, at (630) 353-3300 or mpettit@woodridgeparks.org for more information. Family Float nights will be an event your family won’t want to miss. Bring in floats, rafts and other fun items you would like to enjoy in the Main pool. Parental supervision in the water is mandatory for nonswimmers. six feet maximum length on rafts, and Pool Manager has discretion to deny any device for safety reasons. this will be a “tube”tastic time for any family! Parent’s Night Out - New! All Village Garage Sale Come early for great prices on hidden treasures at Woodridge’s biggest garage sale of the year. Food will be available for purchase to snack on while you shop. Every parent needs a little time away from the kids. Luckily, we’re here to help! Simply drop off your little ones and we’ll make sure they have a great time participating in a range of kid’s activities while you enjoy date night. We will supply a hot dog, chips and drink dinner. Registration, Required Camp Forms, and Parent Manual Registration must be completed the Tuesday before your child begins camp. Full payment is due at the time of registration. Once completed, you will receive an email invitation to ePACT Network. Camp forms, waivers, and the Parent Manual will be provided through ePACT Network. All forms and waivers must be completed through ePACT by the Thursday before your child is scheduled to begin camp. Until registration, payment, and all forms are received and processed, children will not be allowed to participate in camp programs. Registration for Adventure Camp after the posted deadline will be subject to a $20 late fee per child. Before Camp and After Camp Campers who register for Adventure Camp are eligible to register for these programs that allow your child to attend extended camp in the morning and/or in the evening. Campers will participate in a variety of activities lead by staff during this time. Registration for Before Camp and/or After Camp after the posted deadline will be subject to a $5 late fee per child, per program. NEW! Parent Q&A and T-shirt Pick Up Join us on May 29th from 6pm-8pm! Our Camp Director and Site Directors will be available for parents that have questions and to share updates about the summer camp program. Additionally, parents can pick up their camper’s t-shirt during this time. Can’t make it? T-shirts will be distributed to campers once camp begins (prior to their first field trip). Feel free to email any questions to the Camp Director at kreed@woodridgeparks.org. Tentative Field Trips* Santa’s Village, Medieval Times, Windy City Thunderbolts, Funway Entertainment Center, Mystic Waters, and More! Please visit our website after the first week of May for tentative field trip and activity calendars. *All field trips are subject to change Register in-person and pay for all sessions up front by May 1st and receive a 10% discount (does not apply to Before & After Camp and online registration). CAMP SWIM LESSONS New for 2019! Swim lessons are available to Adventure Campers! A counselor will be provided to transport Adventure Campers between the ARC and Cypress Cove for the 8:10 a.m. youth swim lesson class. Class fees are reduced for those already participating in the Adventure Camp Program. Youth Swim Lessons follow a station method of LOCATION: CYPRESS COVE, CATTAIL BAY instruction. Students are tested the first day and Code DAYs DATES placed in one of the seven skill levels. Students 2542 M-F 6/10 – 6/19 will be taught skills needed to progress into M-F 6/24 – 7/3 successful swimmers. Youth Lessons are 8 days with 2543 2544 M-F 7/8 – 7/17 a class length of 45 minutes. The first week runs Monday through Friday, and the second week runs Monday through Wednesday. Maximum Ratio is 1 instructor/6 participants. Register in-person and pay for all sessions up front by May 1st and receive a 10% discount (does not apply to Before & After Camp and online registration). For persons 65 years and older Once registered, you have one phone number to call: 1-800713-7445. For TTY use 1-800-713-7415 PACE call center. Make a reservation up to 7 days in advance between the hours of 6:00AM - 7:00 PM You will be given the cost of your ride at the time you make your reservation, and then pay for the ride on the vehicle. The vehicle assigned will be either a Taxi or a Pace bus. The cost for the Ride DuPage transportation will be $2.00 flag fee plus $1.00 for each mile traveled. Service available 24 hours a day, 7 days a week. For additional information and registration call Jim Vondran (630) 9682087 ext. 11, Lisle Township. Lawyer Referral Service: free for the first 1/2 hour consultation. Call (630) 653-9109 or visit their website at www.dcba.org to find a lawyer. RTA Reduced Fare for Seniors If you are age 65 or older and are not enrolled in the Illinois Department on Aging’s Benefit Access program, you are eligible for a reduced fare. You may apply by mail or in person. To find a site near you, call (312)913-3110. Legal Assistance Resources DuPage Legal Aid 126 S. County Farm Rd. Wheaton, IL 60187 Call (630) 653-6212 for more information. Prairie State Legal Services Legal service is available through the Prairie State Legal Service. You must be a DuPage County resident and 60 years of age. Assistance for legal problems is offered, excluding wills and those cases which have been previously handled by an attorney. An appointment must be made by calling (630) 690-2130. Programs & Activities Programs and services are available to active adults ages 50 years and better. See page 47-49 for active adult trips. For more information about programs, services and trips available to active adults, contact us at (630)353-3300. WPD Refund Policy A $5 administrative charge will be applied from the amount of the refund for each program, including refunds for medical reasons. No refunds will be given for a trip unless there is a replacement participant or the trip is cancelled. The Woodridge Park District does reserve the right to cancel a program if the enrollment is not sufficient to justify sponsorship of the activity. Participants will receive full refunds for any class or trip that is cancelled by the Park District. Refund processing takes approximately 2 weeks. We spend all afternoon with friends having fun and eating food! Let us do the driving while you sit back and enjoy. Registration deadline is one week prior to each Dining Around trip. Also note that the fee includes transportation only unless otherwise noted. Otherwise you are able to order off the menu and pay on your own the day of the trip. We will join forces with several different agencies to bring a lecture series to our active adult group. Topics will vary throughout the year. This group meets once a month to discuss the featured book selection. If you love reading books, you don’t want to miss this opportunity. If interested, call the Community Center at (630) 3533300 or join one of our discussion groups. Senior Rods Fishing/Outdoor Club We are a multiple species, 50+ club for men, women or couples. No membership/guest fees. Fishing outings/shows/charters, speakers, fish fries, community serving, educational discussions and more! Group meets monthly. Contact Al at 630-968-7748 or alg14895@sbcglobal.net for more information. DuPage Senior Citizens Council (630) 620-0804 Provides home-delivered meals, minor home repair service, and wellbeing checks for seniors. Everyone looks forward to a celebration each month to celebrate their special day. Cake and coffee will be served after the meeting. Golden Year’s activities follow the coffee hour. A great afternoon for all! Osco Pharmacy provides blood pressure checks for free on the first Thursday of each month from 12:30-1:30 PM. Call the Community Center at (630) 353-3300 with questions. Senior Health Insurance Program (SHIP) (800) 252-8966 The Illinois Department of Insurance has trained volunteers to provide assistance to aid you in filing Medicare claims and answer your questions regarding health insurance. For further assistance you may call (800) 252-8966 or visit their website at www.illinois.gov/aging/ship. The Golden Years Club is open to anyone 50 years old or better. Weekly meetings are held on Thursdays from 1:00-4:00 PM at the Community Center. Regular activities include games, guest speakers, birthday parties, stimulating conversation, and much more. Throughout the year there are also special events and activities. There is a $25 annual fee which can be paid at any weekly meeting. Anyone who is interested in trying out the club can attend one meeting without paying. No Golden Years meeting on June 13. For Golden Years Members only. Please join us as we celebrate all the dads, uncles and grandpas with a hot dog luncheon. RSVP to the Golden Years Club by Thursday, May 30. Learn to create 3D games and challenge your friends. We will be creating games for the PC version of Kodu, Microsoftâ&#x20AC;&#x2122;s awardwinning game design platform. Students will learn the art of rapid game design and develop an understanding of underlying game mechanics. Students can choose from 20 different game characters including flying saucers, submarines, and a Pac-Man-like Kodu character then use an interactive terrain editor, a bridge and path builder, and other tools to create their 3D game world. Kodu is available as a free download for windows. Bring a USB drive on the last day or games can be emailed to parents. This class is taught by Computer Explorers Staff. This is a cooperative program with the Lisle Park District. Interact with other parents and tots through song and dance! Develop balance, increase body awareness, improve listening and gross motor skills and of course, have fun! Did you take dance as a kid and still dream of being a tap dancer? Did you always wish you had taken a dance class? Well here is your chance. This class includes warm-ups, basic steps, and traveling combinations. Tap shoes are required.This is a cooperative program with the Lisle Park District. Your child will love our program, which emphasizes the ‘FUN’damentals of learning. Emphasis is placed on the whole development of early childhood learning with focus on cognitive, social-emotional, and physical development. Our curriculum incorporates the kindergarten preparation skills desired by kindergarten teachers of our local school districts. The children will explore everyday subjects through a variety of activities such as math skills, science, reading readiness, shapes, colors, music, art, motor development and free play. Peer group interaction is stressed, as it is essential for children. The Totschool program operates in accordance with most of the School District 68 schedule, and begins in September 2019 and runs through May 2020. For health and sanitary reasons, all participants must be toilet trained and out of diapers and pull-ups. In order to register you must bring a copy of your childs birth certificate and a current utility bill. Full refunds (less $5.00 administration fee) are available through July 31. Starting August 1, 2019 only a 50% refund will be given if the spot is filled. If the spot is not filled, the enrollment fee will be forfeited. If you would like information about our preschool program or if you would like to schedule a visit to the school, please contact Amelia Lozano at (630) 353-3322. No refunds, cancellation or withdrawals will be taken after March 1, 2020. Each class provides developmentally appropriate musical activities designed to stimulate your child’s imagination, musicality, and improve their increasing vocabulary. We’ll sing songs and use many instruments, drums, shakers, bells, stick horses, scarves, rhythm sticks, and hoops to build your child’s confidence, independence, self-expression and gross motor coordination. Experience the joy with your child! Every session is filled with new songs and new activities. This is a cooperative class with the Lisle Park District. This class is held at the Lisle Park District Recreation Center 1925 Ohio St. Lisle. Here’s a great morning camp designed for campers by our preschool staff. It’s a perfect opportunity for preschoolers to learn, play and socialize together. Sunshine Safari will focus your child’s attention and curiosity on his /her natural surroundings. Activities include music, arts & crafts, games, storytelling and outdoor . Each class will have a different theme. Please wear play clothes and bring a water bottle and snack. Maracas and clackers and tambourines, too; it’s musical fun just for you! Tot Rock is a unique music and learning program designed specifically for 1 year olds. Each session focuses on a new educational theme that incorporates hand held instruments, play props, sensory integration, coordination exercises, and socialization. Structured and unstructured time is included in each class. Sing, dance class and play today! This is a cooperative program with the Lisle Park District. This super-fun instructional league will teach the game of baseball. We will be going over the basics throwing, hitting, catching, and base-running and then putting what they learn into a fun game. The children will be divided up into teams and each child will receive a team t-shirt, and a hat. Please bring your own glove. This fun-filled class teaches little superstars the importance of teamwork and sportsmanship while sparking an interest for kids to play a variety of sports. Sports to be covered include basketball, hockey, soccer, baseball, football and more. Are you looking for a fun class for your child that develops coordination, self-confidence, listening, strength, balance and body awareness? Your star will learn basic tumbling, bar, balance beam, and vaulting skills and movements associated with gymnastics at an appropriate level for their age. Please note that children need to participate without parent assistance. Gymnastics is a wonderful and fun way for young children to experience the many varieties of physical activities. Your little star will learn gymnastic positions, skills, and movements that will develop coordination, strength, balance and self-confidence. The staff of Gym Stars uses safe, progressive, and positive teaching techniques appropriate for each age group. Attire: Instructors suggest shorts and T-shirts without snaps, buttons or zippers for your childâ&#x20AC;&#x2122;s safety. Your childâ&#x20AC;&#x2122;s physical, mental, emotional and social skills are developed through this fun and challenging class. Children are introduced to age-appropriate exercises specifically designed for balance and coordination of their large muscle groups. Through basic gymnastics and movement, participants experience their world in a whole new way and begin to understand how their bodies work. Participants will also engage in running games, along with working on hand eye coordination. Wear loose fitting clothing, gym shoes and be prepared to have tons of fun! Our chefs-in-training will learn how to make a variety of healthy, delicious and fun recipes, including Black Bean Tacos, Horchata, Key Lime Pie, Zucchini Lasagna Cups, Caprese Skewers, Veggie Bites, and Zucchini Noodles! Each day, we will travel across the globe to learn about the cuisines and cultures of Mexico, Italy, and Asia. Our little chefs will develop a knowledge of kitchen safety and fundamental cooking techniques, including peeling, breading, blending, melting, slicing, dicing, and chopping, and more! These classes are taught by iCook After School Staff. This is a cooperative class with Lisle Park District. Hey girls! Come join Glitzy Girlz for a trip to the spa! Our staff will lead fun stations like avacados masks to start and each girl will make her own cute beaded anklet for the summer wardrobe. We will teach “how to do your own” manis and pedis with scrubs, lotions, buffing and great polish colors to choose! Each girl get a “spa goodie bag” to take home as well as a foot/nail brush. Sign up with friends! This is a cooperative program with the Lisle Park District. This American Red Cross course teaches children introductory first aid skills focusing on recognizing an emergency; calling 9-1-1;dealing with cuts, burns, broken bones, poisoning, choking; and exploring the contents of a first aid kit. Hands-on activities provided for additional reinforcement. Fee includes workbook. This class is taught by a American Red Cross Certified Instructor. This is a cooperative program with the Lisle Park District. Level up your engineering skills with Play-Well TEKnologies and tens of thousands of LEGO parts! Apply real-world concepts in physics, engineering, and architecture through engineer-designed projects such as: Gear Cars, Gondolas, Merry-Go-Rounds, and Scissor Lifts. Design and build as never before, and explore your craziest ideas n a supportive environment. There are no prerequisites for this class. This class is taught by the Play Well Staff. This is a cooperative class with the Lisle Park District. Bed Time Buddies This class is designed especially for children of ages 2-8. Each child will love creating a soft, large, cuddly buddy to sleep with each night. Mom, Dad or another adult needs to be present to assist in stuffing our adorable bears, make bedtime wishes, create birth certificates and design a unique bedtime T-shirt. Your child will absolutely love his or her new bedtime buddy. This class is taught by Ultimate Class & Parties Staff. This is a cooperative class with Lisle Park District. Summer Slime, Squishy Toys, and Splat Balls Too! Slime, squishy toys, and splat balls continue to be all the RAGE with kids! Why is the world squishing? We will find out! Create Summer slime in the concoction lab then learn the science of “splat” during ball scatter, and finally compare/contrast the properties of squishy toys to the human body. This is crazy Summer fun for kids! Every participant will go home with the slime they made and a squishy toy! This class is taught by Lisa Lombardi Coaching Staff. This is a cooperative class with the Lisle Park District. The Thrills and Chills Of Ice Cream, A Yummy Lab! An ARC fitness membership gives you more than just access to a room full of exercise equipment. You will be able to walk and run on the indoor track, workout with others in group exercise classes, participate in virtual fitness classes and play sports in the gymnasium and on the artificial turf field. *Teen must have parent/guardian sign waiver to use track or fitness center. *Teen must be accompanied by a parent/guardian while using the fitness equipment OR completion of the Teen Training Program for an additional $29 will allow teens to work out without a parent or guardian present. This health and fitness class ensures strength and flexibility for balance, poise and confidence in body and mind. By practicing yoga, you will improve posture and body alignment resulting in better circulation and nerve function. You will strengthen and tone internal organs, while relieving muscle tension or joint pain. Come and improve your quality of life! Please bring a mat to class. This strength training class is designed to increase your metabolism and help with muscle endurance by lifting weights. This intense but easy to follow workout will give you a total body workout. This class is great for burning fat, and will have you feeling stronger by the end of the session. Please bring a mat to class. This is a cooperative program with the Lisle Park District. Fitness memberships can be purchased in-person at the ARC Fitness Guest Services desk, which is located on the second floor. A member of the Fitness Guest Services staff can answer questions about memberships, personal training, Group X and more. » Photo ID » A valid credit card (for monthly installment plan memberships) » Provide one of the following documents below for proof of residency: • Utility bill within the last 2 months (phone, cable, water, electric, gas) • Current property tax bill • Mortgage/rental agreement • For additional adults on the membership: current photo ID with address matching primary address on the account or utility bill as listed above. The ARC Group X program changes monthly to challenge your body and prevent workout ruts. You can find the fitness schedule on the ARC website to view the classes by day, week or month; read class descriptions; and export classes to your outlook calendar. If you’re not an ARC fitness member and just want to attend Group X classes, the Group X punch card is for you! It allows you to attend a variety of classes without the commitment of a whole session. Shotokan Pre-Karate Young children will develop flexibility, strength and coordination in fun, yet disciplined activities. This program is specifically designed for growing minds and bodies to enhance memory and agility. Watch your childâ&#x20AC;&#x2122;s confidence blossom and their skills improve! Note: Uniforms and Belt Testing are options available through the ISKC instructor. Tae Kwon Do Tae Kwon Do is a Korean Style of combining the hands and feet in a method of unarmed self-defense. Instruction is centered around physical conditioning, a series of patterned movements that develop grace and coordination, and controlled sparring and self-defense practice. Black Belt instructors teach proper technique in these areas, monitor all students practice, and provide a structured teaching environment for students of all ages. Tae Kwon Do can bring out a heightened sense of confidence, physical awareness, and well-being in each and every student. All students begin at the rank of white belt. To advance to a higher belt or rank, the student must demonstrate his or her abilities at periodic promotional examination held at Kimâ&#x20AC;&#x2122;s Black Belt Academy. Note: Uniforms are available through the instructor. Private lessons are available for beginning through intermediate guitar students. Proper technique, music theory, ear training, and music reading are all emphasized. Method books are available from the instructor for an additional fee. Adults welcome! No prior experience needed. This class is taught by the Music & Dance Suite Staff. Private lessons are available for beginning through intermediate piano students. Proper technique, music theory, ear training, and music reading are all emphasized. Keyboard is provided during class. Method books are available from the instructor for an additional fee which varies by age. Adults welcome! No prior experience needed. This class is taught by the Music & Dance Suite Staff. This specialized athletic program emphasizes instruction, participation, and fun. Camp focuses on basic sports and also includes creative athletic games with a twist. All Star Flag Football Come and learn the proper techniques on passing, receiving, blocking and kicking. The breakdown of offensive and defensive strategies will also be covered. Teamwork and positive play are highly stressed, but the main objective is to have fun. Players are taught to develop proper technique utilizing various surfaces of the foot while building technical speed (quick feet). Participants learn change of direction, moves to beat an opponent, moves to retain possession, fakes, feints, quick feet/changes of speed, and signature moves. This program is designed for all levels in-house soccer players that want to take their game to another level. Open to all girls in grades K-8th. Players will work on skills and drills with Coach Lyndsie Long, head varsity girls basketball coach at Downers Grove South High School, and the staff of the DGS girls’ basketball program. Small basketballs and shorter baskets will be used for the younger age groups. Come have a fantastic experience with the Mustangs girls’ basketball team. No previous knowledge of softball is necessary. Classes will consist of teaching the fundamentals of throwing, catching, base running and hitting. We will do many drills using the fundamental principles of softball that were taught. Next, we will move into offensive/defensive strategies and team strategies. Lastly, we will have game play. New and returning students are welcome. Our focus is to take each individual student’s skills to the next level under the guidance of an experienced coach. Prizes will be given. This is a cooperative program with the Lisle Park District. Bulls-eye! Come and receive instruction in the Olympic sport of archery. Instruction is provided by a team of National Archery Association certified instructors who will assist you in learning in a fun and safe environment. All equipment will be provided. Open to both youth and adults, beginners as well as intermediates you will learn archery basics including range safety, whistle commands, proper stance and the draw and release of arrows starting at a 10 yard distance. Students will be working with the Olympic style recurve bow, finger tab and arm guard. Tight-fitted clothing or shortsleeved shirts are recommended. This is a cooperative program with the Lisle Park District. Maximum participation, maximum touches of the ball and maximum fun are all included in this camp. Each of these selected coaches hold a national coaching license from Great Britain and are trained specifically for the British Soccer Camp Program. These coaches will not only teach skills, but also teamwork, sportsmanship, and discipline. Join the camp and enjoy a week of soccer and British culture all in one experience. All campers will receive a hand-stitched soccer ball and a British Soccer Camp T-shirt. Campers will be split by age group at the first day of camp. Register early at www. challengersports.com by 5/4 for the June 3-7 camp or by 6/8 for the July 8-12 camp and receive a free jersey. New to the game? Interested in playing volleyball at school, or taking your game to the next level with club? If any of those are true this is right for you! Our program is designed to improve your volleyball skills with 60 minutes of setting, passing, serving, and hitting. Our coaches are trained to help you prepare for the next level in a fun, and competition atmosphere. This program is taught by Serve City Athletics instructors. This league emphasizes fundamentals, skill development, teamwork, sportsmanship, and fun. At this level, participants play on age appropriate nets and use softer volleyballs. Everyone is guaranteed to play an equal amount of time because there is no substitution (substitution is on rotation). Practice is once a week for an hour, along with one game per week. Practices and games will be held between the times listed below. Practice times are selected by the Volunteer Coaches. Coaches will contact players following the coaches meeting in June. Practices are one hour long and held one day a week either on Tuesday, Wednesday, Thursday or Friday from 5-9P. Coaches will sign up for a practice spot from the available practice slots. Games will take place between 6-8 pm on Monday’s. All players must wear gym shoes; participants receive team T-Shirts. Anyone interested in helping as a coach or assistant coach should mark that down on the registration form. All participants must preregister, including those whose parents are volunteer coaches. Register early, as this league is expected to fill quickly. Grades maybe combined if there isn’t enough enrollment in one grade. Registration Deadline: June 1. Practices start the week of June 17. Power Through Basketball’s training camp will consist of opportunities for boys & girls ages 6-15 to develop basketball & real world skills. Those skills will range from ball handling, passing, finishing around the rim, body control & shooting in a competitive environment where you are learning to compete against others and yourself! Woodridge Soccer Association Fall 2019 Eight-game season runs August 17 - October 12. Games will not be played on Labor Day weekend. Practices begin in early August. End date may change base on weather or playoffs. Fee includes uniform shirt and socks. Names are placed on a waiting list and will be used to fill vacancies. There is no guarantee you will be placed on a team. For the past several seasons, we have had high school players volunteer to help assist the coaches of the Woodridge Soccer Association and we are again looking for volunteers. If interested, or if you know of someone that may be interested, please contact the Woodridge Park District at (630) 353-3300. Parents of players new to WSA must bring their childâ&#x20AC;&#x2122;s birth certificate to registration. Teen Climbing 101 This class teaches basic knowledge of rock climbing techniques such as three points contact, footwork and balance. Class also introduces bouldering. Knowledge of basic knots, gear and commands will also be reviewed I this class. this is a great way to learn the basics of an avid climber. This is a cooperative program with the Bolingbrook, Oak Brook Terrace and Lisle Park Districts. Come join our S.O.S. trips! Seniors Out Socializing is a great group to travel with. Our one-day trips offer a wide variety so there is something for everyone. There are restaurant trips, casinos, sightseeing, sports games, theatre and more. If you are under the age of 50 and would like to attend an active adult trip with a family member or friend who is 50 or older, please call or visit the Woodridge Park District Community Center for consideration. Activity Levels for S.O.S Active Adult Trips Minimal walking. No stairs. Longer walking distances. Some short periods of standing and possibly some stairs. Extended periods of walking over both even and uneven surfaces. Some extended periods of standing and stairs. Mostly all walking. All trips are handicap-accessible unless otherwise noted. If you require additional assistance, please notify registration staff when registering for the trip or call (630) 353-3300. Geneva, IL: We will head to the ballpark and watch the Kane County Cougars battle the Bowling Green Hot Rods. After the game we will enjoy a fantastic fireworks display. Please dress for the weather. Fee includes transportation and ticket only. All souvenir, food and beverage purchases are on your own. Oakbrook, IL: Kona Grill restaurant offers an experience unrivaled in Oak Brook. Upscale American food freshly prepared in a scratch kitchen and globally-inspired dishes are crafted using only the freshest ingredients. Culinary innovations include hand-crafted sandwiches and cocktails, oven fired flatbreads, Kona coffee glazed ribs, seafood selections and tempting desserts made in-house from scratch every day. You will order off the menu and pay on your own the day of the trip. Darling Grenadine Marriott Theatre, Lincolnshire, IL: Harry is a charming songwriter whose fanciful view of the world rivals the Technicolor of any MGM classic. But as Harry floats through the kind of Manhattan life that dreams are made of, he suddenly finds himself confronted with the idea that a dream may be exactly what it is. And reality isn’t nearly as beautiful. Told with a rich contemporary score, Darling Grenadine peels away the layers of musical comedy tropes to explore the friction between romance and reality, denial and heartbreak. With its surprising melding of off-beat, whimsical humor and serious themes of addiction and loss, this bittersweet new musical brings us something magical, moving, and boldly unique. Trip fee includes transportation, lunch and show. Menu choice: Chicken Marsala or Parmesan Crusted Tilapia. One of Robert Bruce Harris’ first designs, Village Greens of Woodridge has been a staple of Chicagoland golf for over 40 years. Rich in natural wooded beauty, 18 holes of championship golf in a picturesque setting await you. Widely-known as one of the best values for golf in the Chicago area, Village Greens is a challenge worth telling your friends about. The course terrain is hilly and rolling with a variety of mature trees lining each fairway. Water comes into play on a number of holes, and sand bunkers lurk in strategic positions. Undulating greens, large landing areas and multiple tees on all holes create a course of both beauty and playability. visit www.villagegreensgolf.com for available tee times and greens fees Residents are required to live in the Village of Woodridge or within the Woodridge Park District boundaries. A current utility bill or a valid driver’s license are required for resident ID purchase at Village Greens. • Seniors are 60 years or older | • Juniors are 18 years or younger. Tee Time Considerations: • Residents may reserve times 14 days in advance. • Nonresidents may reserve times 14 days in advance. Registration for Golf Course programs only accepted at Village Greens or online at www.villagegreensgolf.com, and NOT at the Woodridge Park District Community Center. $9.99 9-Hole Value Days If you and your friends enjoy your golf 9-holes at a time and like playing quickly, generally 2 hours and 15 minutes or less for 9-holes, then the $9.99 9-Hole special is for you! Available $9.99 9-hole tee times vary by week. Please visit www.villagegreensgolf. com to view current offerings, or join the $9.99 9-hole e-mail list to have the available times sent to you each week. PGA Junior League Golf (PGA JLG) is designed to bring a “Little League” atmosphere to the game of golf. With teams of boys and girls, ages 16 and under, PGA JLG provides a structured league environment for your golfers to compete and have fun! This is a great way to get, and keep kids involved in the game! PGA JLG Participants Receive: -Team jerseys, golf balls and PGA JLG bag tag 5  -6 regular season competitions plus coaching/ practice - Opportunity for advancement to post-season and All-Star teams -A  ccess to customized website home page for our PGA JLG team featuring schedules, standings and stats Timeline - L ocal league play takes place on June 1 through July 31. Practice and play times to be determined by captains, typically early afternoon on weekdays - July: City Championships - August: Regional Championships - September: PGA JLG Championship How to Register - Registration for PGA Junior Golf League is available through a team captain at Village Greens of Woodridge. Visit the Village Greens Golf Course for more information. - Cost: $160 per golfer which includes uniforms, unlimited range balls, greens fees, competition fees, instructor fees and year-end party. Recruit friends to play on the same team. Parent coaches/ volunteers needed. Youth on Course Village Greens Golf Course is a participating Youth on Course facility. Children ages 6Y-18Y can register through the Youth on Course website to obtain a membership card and play for $5 on weekdays at Village Greens. Visit www.youthoncourse.org to register. SEASPAR (the South East Association for Special Parks And Recreation) provides recreational programs and services for individuals with disabilities served by the Woodridge Park District and eleven other communities. Sports • Trips • Social Programs • Special Events • And More! Summer Day Camps SEASPAR’s day camps are the perfect place for kids, teens, and young adults with disabilities to spend their summer enjoying creative, social, and physical activities as well as fun community outings! SEASPAR offers a variety of summer day camp options: • Kids Camp for ages 5–12 • Teen & Adult Camp for ages 13–22 • Bursting with Fun Camp for students in extended school year programs at LADSE, District 102 La Grange, and Lyons Township H.S. • Adventure Camps for ages 3–22 For more information on day camps and other programs for children and young adults, call SEASPAR at 630.960.7600 or visit SEASPAR.org. Golf “Fore” SEASPAR All are invited to flock to the fairway to support SEASPAR’s programs and services this summer! Look for our summer program guide in April! The South East Association for Special Parks And Recreation provides dynamic recreation programs and quality services for individuals with disabilities served by the park districts of Clarendon Hills, Darien, Downers Grove, La Grange, La Grange Park, Lemont, Lisle, Westmont, and Woodridge, and the villages of Brookfield, Indian Head Park, and Western Springs. Please help us watch the parks! The Woodridge Park District Memorial Tree program provides residents the opportunity to purchase a tree in memory of a loved one or to honor a special occasion. Your participation in the Memorial Tree program will not only provide a lasting memory, but will also help to beautify our parks and trails. In addition to the tree, a bronze plaque is available and may include the name of the tree, year of dedication, name of person the memorial is for and a brief personalized message. A Park District staff member will assist in locating the site, choosing the tree, and selecting the wording for the plaque. Planting of the tree can be completed in the spring before May 15 or in the fall before October 15. For more information, contact Ryan Bordewick, Planner and Landscape Designer, at (630) 353-3300. Regular feeding of waterfowl can cause dependency on people for food, bird and people conflicts, and the spread of disease. Please refrain from feeding the birds at Lake Carleton and Lake Harriet along with other lakes in the area. The waterfowl have become used to handouts and no longer migrate south in the winter. The once wild birds have become tame and have lost their fear of cars and people, which can lead to traffic problems and possible injury. With the growing populations of waterfowl in small concentrated areas, the competition for food is high. The less nutritious handouts and harsh weather increase their susceptibility to life threatening diseases. We ask that you please do not feed the waterfowl. Thank you for your support. For more information, please contact the Woodridge Park District at (630) 353-3300. If you see any suspicious activities in progress at a park site, please alert the Police Department immediately at 911. If vandalism has already occurred, please call the Police Department at (630) 719-4740 and notify the Woodridge Park District at (630) 353-3300. The Park District is now sponsoring a program specifically targeting arson prevention through the new Arson Tipster Award Program. The Arson Tipster Program rewards residents for providing information that leads to the arrest of the arson perpetrator or conspirator. All communication between the Woodridge Park District and the Arson Tipster is kept strictly confidential. The Woodridge Park District will not release or disclose any information furnished by the Arson Tipster without the Tipster’s explicit consent and approval. Arson Tipsters may be eligible for a cash reward. To provide a tip or get more information about the Arson Tipster Program, contact the Woodridge Park District at (630) 353-3300. Thank you for helping keep our parks safe and clean. Host your party at the Woodridge Park District! Birthday Parties • Bridal & Baby Showers • Team-Building Events • Family Picnics Outdoor Park Rentals (May-October) Castaldo and Echo Point Parks Both parks feature a park shelter & picnic tables. Reservations are taken in-person and are on a first-come, first-served basis. Picnic kits are available for rent. Visit woodridgeparks.org/parkrentals.htm for fees and detailed information or call (630)353-3300 for available dates. Cypress Cove Family Aquatic Park (June-August) Rent the entire water park or portions of the park including Alligator Alley, Bullfrog Bayou Splash Pad and Cattail Bay. Visit cypresscove.org for pricing. Village Greens Golf Course Banquet Room Food & drink packages available for groups of up to 75. Call Village Greens at (630) 985-3610 for available dates and prices. Indoor Rentals Community Center Five rooms are available for groups as small as 25 and as big as 200. Visit woodridgeparks.org/parkrentals.htm ARC Programs Rooms: Rent 1, 2 or all 3 Program Rooms seven days a week. ARC Turf & Gym: Reserve half or the full field/court. In-season and non-prime rates are available. ARC Batting CAGES: Whether you have a baseball or softball team or just want to hit some balls for fun, the batting cage is available for 15, 30 and 60-minute sessions. ARC Ropes Course: Book the high ropes course for two hours and up to 12 people. Visit wpdarc.org for pricing or call (630)353-3400 to book an ARC room, turf, gym or ropes course. Birthday Party Packages Cypress Cove Splash Party All day admission for 10 people • 2 hour reserved party area • Guest of honor is complimentary Private use of lazy river tube slide or body slides for 15 minutes • T-shirt for guest of honor ARC Themed Parties All parties are 2 hours and include table cloths, bowls, cups & napkins, 2 birthday hosts, invitations, t-shirt for the guest of honor, set-up/clean-up, program room with access to kitchen and a create-your-own ice cream sundae bar for 12 guests. Contact Sarah Porter at sporter@woodridgeparks.org for pricing. Sport Star: 60 minutes of sports play in the turf or half of gym. Fitness Star: 60 minutes of Fitness on Demand workouts and dance party in fitness studio with group photo. Glitz & Glam: Paint and decorate own jewelry boxes and manicures, makeup, music and glitter. Arts & Crafts: Create your own treasure chest, superhero crafts, princess crafts, beads and more. Ropes Course Birthday Party: Book the high ropes course for 2 hours with 2 trained facilitators to lead each group and 30 minutes in the Program Room for cake and presents. Gagaball/Dodgeball: 60 minutes of gagaball/dodgeball in half of gym. Park/Room Rental Procedure All Woodridge residents wanting to rent Castaldo Park or Echo Point Park, or rooms at the Community Center or ARC will be required to provide proof of residency in the form of either a current property tax bill or a current utility bill (within two months) at the time of the rental reservation. The Woodridge Park District offers a “Satisfaction Guaranteed” Policy for all of our recreation programs! (Trips, summer day camps, pool passes and one-day events excluded). We are committed to giving the residents of Woodridge quality programs at reasonable prices, and we are prepared to stand behind the programs we offer. If you are not completely satisfied with the program after attending two classes, stop by the Community Center before the third meeting to fill out an “unsatisfied” refund form. We will invite you to repeat a class at no charge, receive a credit toward another program in the session, or receive a full refund (minus $5 administrative charge). No refund will be granted after the third meeting of the program or after 50% of the classes have been held (whichever is earlier) with the exception of a written medical excuse prior to completion of the program. A $5 administrative charge will be deducted from the amount of refund for each program, including refunds for medical reasons. Medical excuses will result in a pro-rated refund based upon the number of classes held prior to the date listed on the physician’s excuse. No refunds will be given for a trip unless there is a replacement participant or the trip is cancelled. The Park District does reserve the right to cancel a program if the enrollment is not sufficient to justify sponsorship of the activity. Participants will receive a phone call and the option of a refund or leaving the balance on their account. We ask for your feedback to help us serve our residents to the best of our ability and to achieve our goal to make this the most cooperative, public accessible park district in the state. Participants/parents/guardians/spectators shall exhibit appropriate behavior at all times. The Park District developed the following guidelines to help make programs safe and enjoyable for all participants. The Park District may develop additional rules for particular programs and athletic leagues as deemed necessary by staff. Participants/parents/guardians/spectators shall: 1. Show respect to all participants, staff, referees, volunteers and spectators; and take direction from staff. 2. Refrain from using abusive or foul language. 3. Refrain from threatening or causing bodily harm to self, other participants, spectators, referees and staff. 4. Respect all equipment, supplies, and facilities. 5. Not possess any weapons If inappropriate behavior occurs, prompt resolution will be sought, specific to each individual’s situation. The Agency reserves the right to dismiss a participant from a program or a parent/guardian/ spectator from a program area whose behavior is inappropriate or endangers the safety of himself/herself or others. Photography/Videotaping Policy The Woodridge Park District photographs and videotapes participants in its programs, special events or facilities to publicize recreational opportunities. We do not use any identification in our brochures. By registering for a program, participants and parents/guardians of participants consent to being photographed and videotaped. These photographs and videotapes will be used to promote the Park District through press releases, brochures, the web site and other promotional materials. Please tell the instructor and photographer if you do not want to be photographed. Special Note To Parents The Woodridge Park District provides a safe and stimulating environment for your child’s growth, please help us maintain our high-quality programs. • Safety: Please drop off and pick up your child at the classroom door. •A  ge: To enroll in a class, a child must have attained the proper age of the desired class by the first class session. •P  roof of Age: Proof of age in the form of a birth certificate may be required. If a child is not the appropriate age for a class, he/she will be dropped from the program. •P  arent & Child Classes: Siblings of the enrolled children may not attend class. Online: www.woodridgeparks.org On the web site, select the Programs & Registration button. On the Programs & Registration page, select Online Registration. Login your family data, select classes and pay via Discover, American Express, Visa or Mastercard. Fax: (630) 353-3320  omplete the registration form, sign the waiver, fill out the Visa or Mastercard C information, and fax to (630) 353-3320. Mail-In/Drop-Off: 2600 Center Drive, Woodridge, IL 60517 OR 8201 S. Janes Ave, Woodridge, IL 60517  omplete the registration form, sign the waiver and enclose payment. DO NOT SEND CASH! Make C checks payable to the Woodridge Park District. Fill out the Visa or Mastercard information for credit card payments. If you need additional space for programs, attach a sheet with all the necessary information. For your convenience, an overnight drop box is located outside the building next to the front door entrance. Enrollment Status Please do not call the Park District office concerning your enrollment status in programs until after May 1. Participants should assume they are registered in a class unless contacted by the Park District. General Registration Information 1.Telephone registration will NOT be accepted. 2.When completing your form, you MUST provide ALL the requested information. Forms that are not filled out completely or unreadable will be returned. The information on the form is imperative for processing. 3.Participants should assume they are registered in a class unless contacted by the Park District. If a registrant was not randomly selected into a class, the Park District staff will contact the registrant by telephone to discuss other program options. In many cases the staff will be opening new sessions of the more popular programs. 4.If the program of your choice is filled, we will automatically put your name on the waiting list. 5.Resident fees are for Woodridge Park District residents. Nonresident fees are 50% more than resident fees. 6.The Woodridge Park District cannot be responsible for late or misdirected mail. 7.There will be a $25 service charge for checks returned due to insufficient funds. 8.Participants must be of age by the first day of class. Registration Policies 1.The Woodridge Park District reserves the right to alter the schedule, cancel, or add programs when enrollment warrants. Waiting lists will be taken when programs are filled, and every attempt will be made to accommodate people on these lists. 2.The Park District assumes no liability for personal injuries or loss of personal property while attending Woodridge Park District activities. 3. The Woodridge Park District strives to comply with the 1990 Americans With Disabilities Act (ADA). Please indicate on the registration form if you or your family needs special assistance or accommodations to participate in any Park District programs. Registrations are taken on a first-come, first-serve basis. Program Enrollment We encourage you to sign up for programs one week before the start date of the program. Programs with low enrollment may be cancelled. online registration at www.woodridgeparks.org participants should assume they are registered in a class unless they are contacted by the park District. *All communication from the Woodridge Park District will go to this email and phone. Please read this form carefully and be aware in registering yourself or your minor child/ward for participation in the program(s) listed above, you will be waiving and releasing all claims for injuries you and your minor child/ward might sustain arising out of the program(s) listed above. I recognize and acknowledge there are certain risks of physical injury to participants in the program(s) listed above and I agree to assume the full risk of any injuries, including death, damages or loss regardless of severity which I or my minor child/ward may sustain as a result of participating in any and all activities connected with or associated with such program(s). I agree to waive and relinquish all claims I or my minor child/ward may have as a result of participating in the program(s) against the Woodridge Park District and its officers, agents, servants, and employees. I do hereby fully release and discharge the Woodridge Park District and its officers, agents, servants, and employees from any and all claims from injuries, including death, damage or loss which I or my minor child/ward may have or which may accrue to me or my minor child/ward and arising out of, connected with, or in any way associated with the activities of the program(s) including transportation services and vehicle operations, when provided. I further agree to indemnify and hold harmless and defend the Woodridge Park District and its officers, agents, servants, and employees from any and all claims resulting from injuries, including death, damages and losses sustained by me or my minor child/ward and arising out of, connected with, or in any way associated with the activities of the program(s). I have read and fully understand the details of the program(s) listed above and the above Waiver and Release of All Claims. If registering via fax, your facsimile signature shall substitute for and have the same legal effect as an original form signature. Permission To Photograph And Videotape Participants Is Authorized By Your Signature On This Waiver By signing this waiver, I understand that my child/ward or I may be photographed or videotaped at any Woodridge Park District program, event or facility. I give permission for photographs and videotapes of my child/ward or me to be used to promote the Park District through press releases, brochures, the web site, and other promotional materials. Such photographs and video-tapes will remain the property of the Woodridge Park District. Please tell the instructor and photographer if you do not want to be photographed. FOR OFFICE USE ONLY: Cut at dashed line and destroy (shred) immediately after entering account number into registration system. Regular meetings of the Woodridge Park District Board of Commissioners are held on the third Tuesday of each month. These meetings begin at 6:30 p.m. at the Community Center, 2600 Center Drive. The public is always welcome to express their ideas or opinions on any pertinent matter. The Woodridge Park District strives to comply with the 1990 Americans with Disabilities Act (ADA). If you or any member of your family needs special assistance or accommodations, and plans on attending a Park Board meeting, please call the Administration Office 24 hours in advance of the meeting (630) 353-3300, and accommodations will be provided. 4. Caddie Corner Park - between Green Trails Dr. & Green Rd. 5. Castaldo Park - 3024 71st St. 6. Community Center/Lake Carleton - 2600 Center Dr.
11. Falconridge Park - 8400 Janes Ave.
13. Forest View Park - 1200 Alexander Dr.
15. Hawthorne Hill Woods - 22W221 71st St. 16. Hobson Corner Park - 2910 Hobson Rd. 17. Ide's Grove East Park - 8127 Meadowwood Ave.
18. Ide's Grove West Park - 1825 Compton Rd. 20. Janes Avenue Park - 7927 Janes Ave.
24. Meadowview School - 2525 Mitchell Dr.
30. Seven Bridges Park - 6516 Greene Rd. 31. Sipley School - 2806 83rd St. 32. 63rd Street Park - 3000 63rd St.
34. Summerhill Park - 3296 Parkside Dr.
35. Sunnydale Park - 6733 Harvest Ave. 36. Town Centre - 7101 Woodridge Dr.
37. Triangle Park - 3209 63rd St.
39. Village Greens Golf Course - 1575 W. 75th St.
43. Commonwealth Edison Bikeway - Easement from 63rd to 71st St.
42. Windy Point Park - 2100 Egerton Dr.
41. Willow Creek School - 2901 Jackson Dr.
40. Westminster Park - 1320 Westminster Dr.
29. Rutgers/Peters Drive Site - 1700 Rutgers Dr.
25. Memorial Park - Janes Ave. & Center Dr.
23. Maintenance Building - 8325 S. Janes Ave.
28. Orchard Hill Park - 8413 S. Janes Ave.
26. Mending Wall Park - 8406 Mending Wall Dr.
21. Jefferson Junior High School - 7200 Janes Ave. 22. Lake Harriet - 7000 Woodridge Dr.
10. Edgewood School - 7900 Woodridge Dr.
8. Cypress Cove Family Aquatic Park - 8301 S. Janes Ave. 9. Echo Point Park - 8115 Woodridge Dr.
14. Goodrich School - 3450 Hobson Rd. 1. ARC - 8201 S. Janes Ave. 2. ARC Soccer Fields - 8101 Janes Ave. 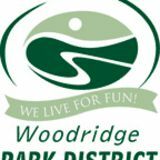 The Woodridge Park District in partnership with the Woodridge Rotary acknowledges the need for residents with an economic hardship to enrich their lives through participation in recreation programs. To ensure equal access to recreation programs throughout the Woodridge Park District, the Rotary Club of Woodridge will provide funding assistance/scholarships for District residents in financial need subject to available and fiscal year appropriations. Assistance may be in the form of a payment plan whereby the cost of the program will be spread over a period of time to allow the family/individual to afford the program as determined by the District or may be a partial scholarship whereby the cost of the program will be reduced according to the program guidelines. Applications will be considered for approval within 5 working days of submission and are completely confidential. Residents using the Program Assistance Plan shall follow normal Park District registration procedures. Participants must reside within the boundaries of the Woodridge Park District to be eligible. Complete Woodridge Park District program registration form. * Complete Rotary scholarship application. * Bring forms and register at Community Center or the Athletic Recreation Center (ARC) The Woodridge Park District will notify applicants within five business days of the application status. *Forms are available at www.woodridgeparks.org. For more information about the financial program, contact Ashley Rowden, Customer Service Supervisor, at (630) 353-3300 or arowden@woodridgeparks.org. 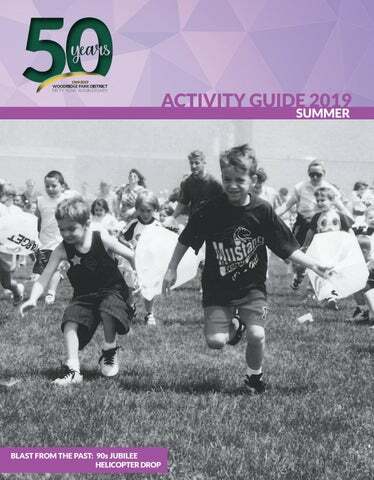 The Woodridge Park District Summer 2019 Activity Guide features summer camps, sport camps, leagues, special events and more.